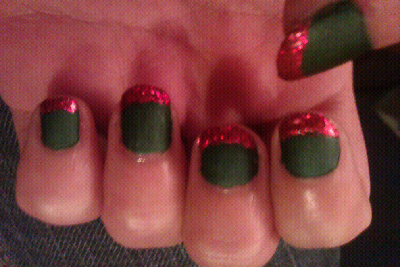 After the success of my Candy Cane nails I could bear to take them off until they started to chip. 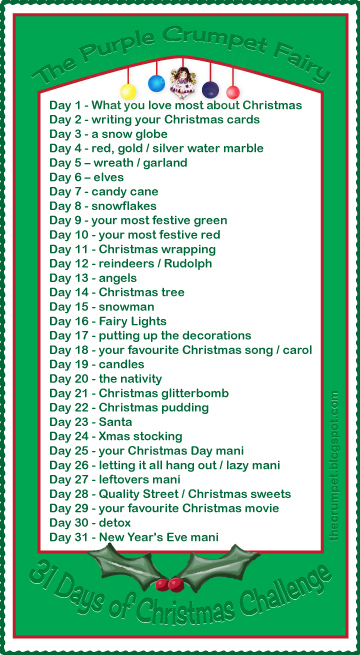 So toady I decided to combine day 9 and 10 together to create the "Ultimate Mega Festive Mani". 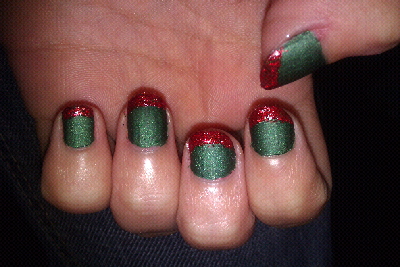 So here is my most festive green with my most festive red. 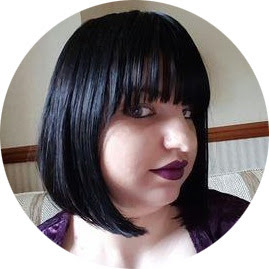 Today held alot of 'firsts' for me today in my attempt to learn new things with my polish and really that is why I started this blog in the first place. Today I used my first Zoya polish and can I say i'm in love. 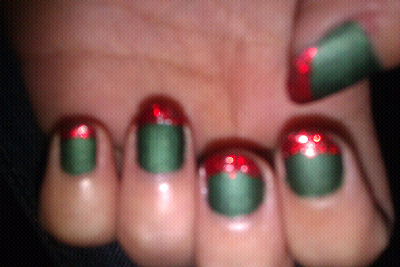 I know a lot of polish addicts swear by Zoya but unless you go on ebay they are impossible to buy over here in the UK. The polish in question here was Veruschka from the Winter MatteVelvets collcetion. Thats right my first Zoya is a matte and I am in love with it. I love green polish as it is but this polish is beautiful. It is a deep hunter green with golden shimmer. The application of this polish was amazing too, two coats and it is perfect! Sometimes I find matte polishes are a bit chalky or they easily chip (like my Avon Matte polishes which were such a disappointment) but this applied smoothly! 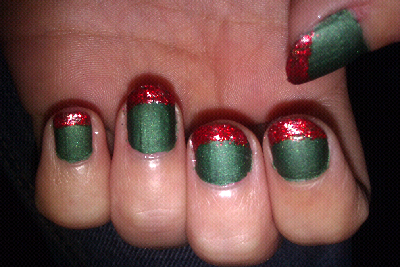 I love the subtle shimmer of the green against the glitter-fest red. 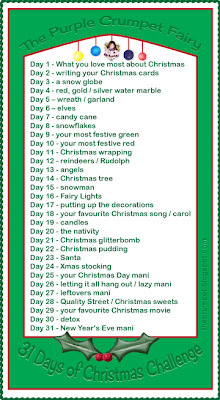 This is so pretty. 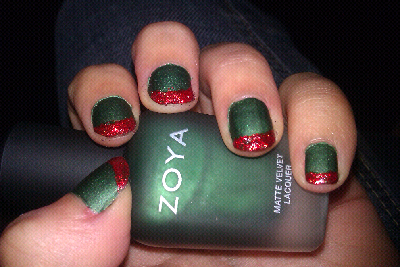 Expect to see lots more Zoya polishes on blog in the future!